We are proud to be estate and letting agents, operating within one of the most exclusive areas in London. Belgravia is now home to many of the wealthiest people in Britain, with house prices being one of the highest in the country. 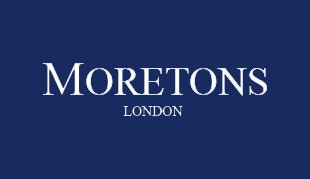 At Moretons, we believe that these properties should be sold or let in an impeccable manner, and as leading letting and estate agents in the area, we have gained a reputation for doing exactly that. In 1825 the combination of Thomas Cubitt’s artistic eye and the financial strength of The 1st Marquess of Westminster transformed this once uninhabited marshland into one of the most sought-after and fashionable addresses in London. The grand iconic white stucco fronted architecture of Eaton Square, Chester Square and Belgrave Square set the trend for one of the most illustrious and ‘prime’ areas in the world. Belgravia is nestled between its most westerly point of Sloane Square, its south easterly point of Victoria and its northerly edge of Knightsbridge. With a majority of the land still in possession of the now Duke of Westminster and his Grosvenor Estate it is a popular area of residence for the aristocracy, gentry, high ranking politicians and stars of the silver screen, not to mention many notable overseas residents and embassies. Belgravia is home to a wonderful array of retail delights and culinary wonders encapsulating, Art and Antiques, fashion and design. Boasting Harvey Nichols and Sloane Street on its Knightsbridge fringe and Ebury Street to the south it encapsulates an exceptional range of boutique designers, jewellery and fine art shops. The likes of Gucci, Chanel, Versace, Jimmy Choo, are apparent but the gems such as Philip Treacy, Christian Louboutin, Jeroboams, Dalesford Organic, The Boisdale and The Orange are a must for a discerning local in the know. The property that surrounds these wonderful array of shops and restaurants are a rare occurrence, so when they are listed on the property market, they are bought or let almost instantly if priced correctly. With Moretons estate and lettings agents, we can make sure that you are the first to know about new properties that emerge onto the market.